AIA Chief Economist Kermit Baker says the leveling off of demand for design services is a barometer for the overall health of the housing market, which seems to be slowing down. Outdoor living spaces, mud rooms and home offices topped the list of special function rooms. Would it be better for your listing client to turn that porch area into a mud room or sun room? That’s one of many questions that the most recent quarterly research from the American Institute of Architects attempts to answer. 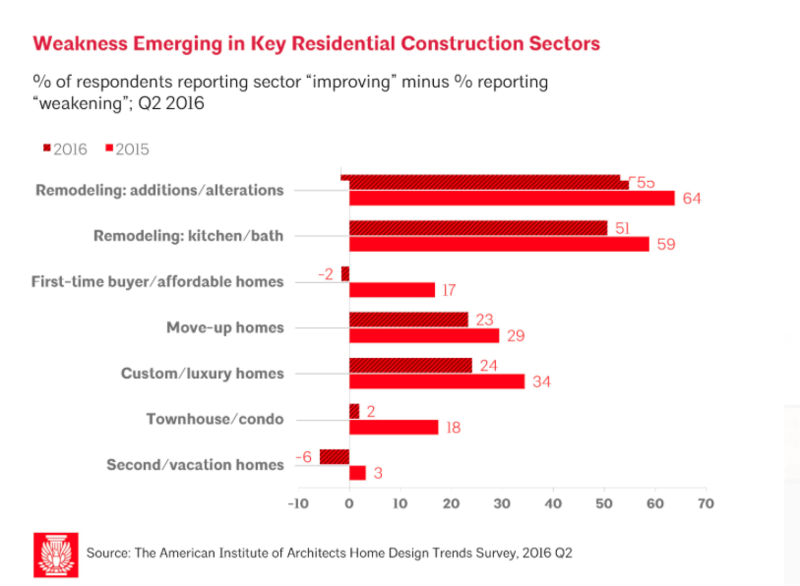 According to AIA’s Q2 Home Design Trends Survey, the demand for design services has leveled off to figures not seen since the early stages of recovery from the Great Recession. The growth in inquiries have flattened out as well — and those are usually several points higher than billings. The Midwest boasted a score of 62.5, the highest regional score for the quarter. “Activity in the additions and remodeling segments are leveling off as well, but remain positive,” said AIA Chief Economist Kermit Baker in a press release. Fifty-five percent of survey respondents said the additions and alterations sector is improving — a 9 percentage point drop from 2015. The kitchen and bath remodeling sector experienced a drop as well, with only 51 percent of respondents reporting an improvement, an 8 percentage point drop from the previous year. 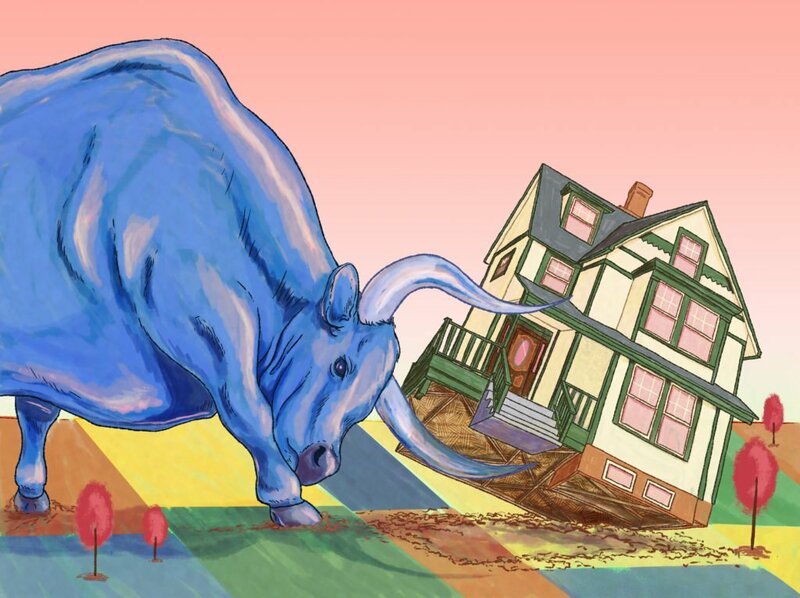 The first-time buyer/affordable homes, townhouse/condo and second/vacation home sectors took the biggest hits, with survey-takers giving ratings that run into the negatives. The drop in improvement ratings may foreshadow a bumpy 2017 because Baker says these scores will be used barometer for the housing market in the upcoming year. That said, here are the trends that can help keep sellers on the leading edge of what buyers are seeking. 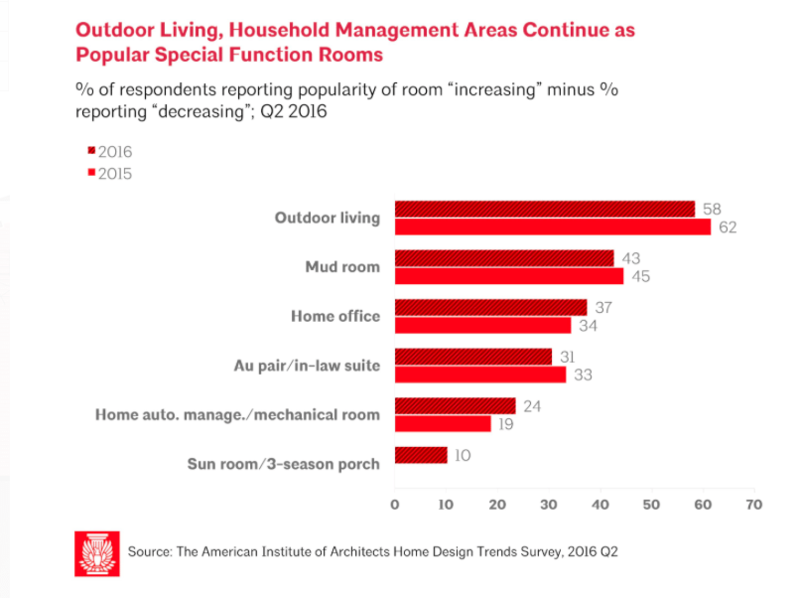 “Heavy investment in outdoor living spaces, mud rooms, and home offices indicate that consumers are placing a premium on practicality and functionality,” said Baker. Home offices experienced a 3 percentage point jump in popularity from 34 to 37 percent. Home auto management/ mechanical rooms increased in popularity from 19 to 24 percent, and sun rooms/3-season porches, which weren’t on the map last year, had a 10-percent popularity rating for the year. 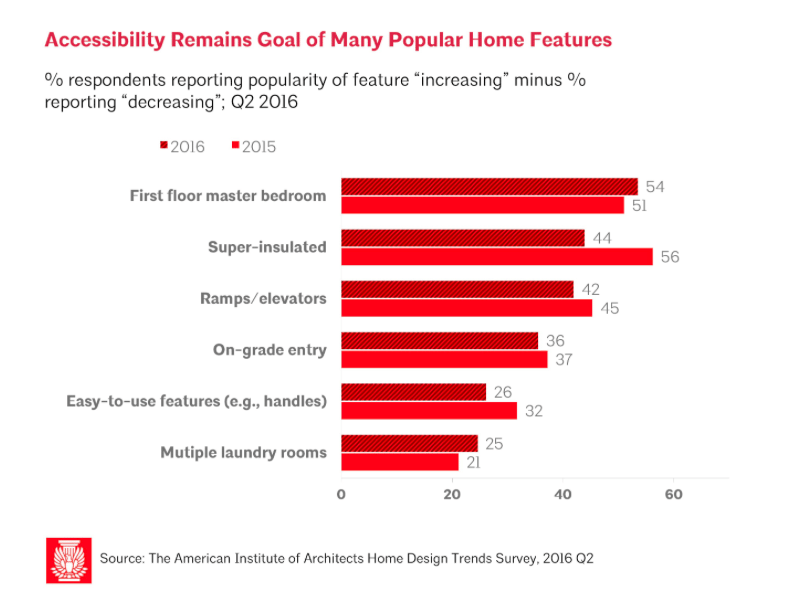 When it comes to accessibility features, homeowners are favoring first-floor master bedrooms, ramps and elevators and on-grade entries. While the popularity rating for these features are strong, Baker says the demand for is leveling off due to more homes being built with accessibility in mind. Lastly, homeowners are tapping into the home automation space as a way to increase energy efficiency, reduce utility bills and make everyday home processes seamless. Energy management, smart thermostats and energy efficient tools have maintained their popularity, with percentages ranging from 47 percent to 63 percent. 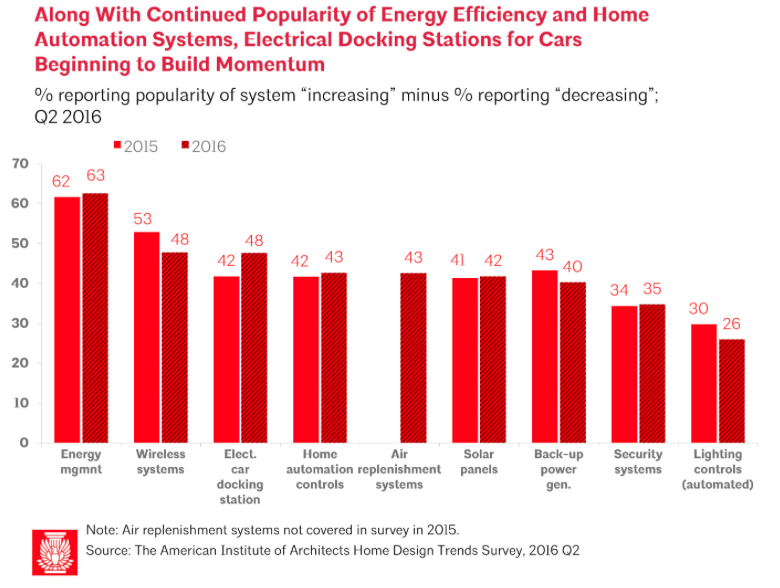 Electric car docking stations grew in popularity by 5% from 2015 to 2016. Electric car docking stations grew in popularity by 5 percentage points as electric cars are becoming a viable alternative due to increased mileage and faster charging times. Every quarter, the AIA conducts this survey, which queries more than 500 residential architecture firms to monitor business conditions and examine different topics.